Wanderlust Excursions wants you to know three of Australia’s east coast cities as you travel from Melbourne in the south to Cairns in the north before ending in the spectacular harbor city of Sydney. Choose your own activities to make your vacation exactly your style. This twelve night air-inclusive with Virgin Australia getaway offers you four nights in each city, with plenty of time to explore and fill your days with must-do experiences. The harbor city of Sydney is next, filled with opportunities to discover the best vantage point for that iconic photo to take home and frame. Walk the ground of the Royal Botanic Gardens that hug the harbor foreshore, take a tour under the sails of the spectacular Sydney Opera House, scale the heights of the iconic Sydney Harbour Bridge and take in the surrounding views, or maybe grab a surfboard and take a lesson at one of Australia’s most famous beaches. Melbourne is a food lover’s paradise. 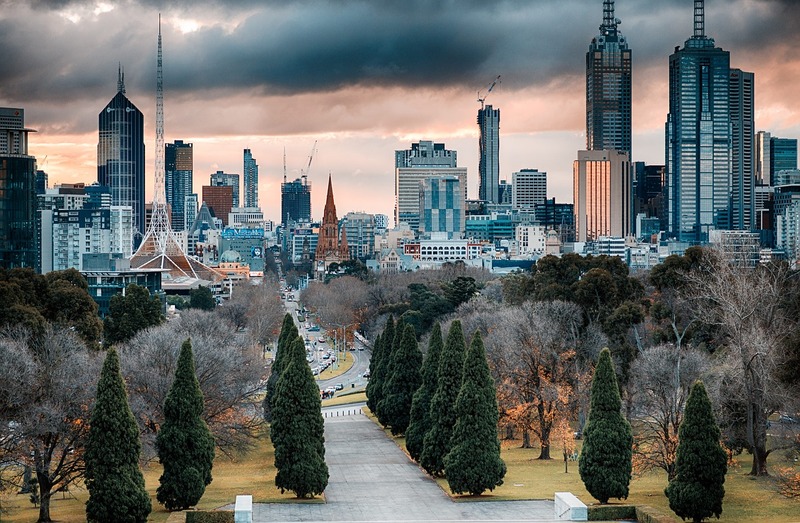 Take the time to awaken your senses as you stroll through the Queen Victoria Markets, maybe dine aboard the famous Colonial Tramcar Restaurant or take a walk down Lygon Street and discover the many restaurant flavors. Melbourne is also home to many hidden laneways and secret alleys that house intimate bars and eclectic venues - be sure to explore these unique areas, you never know what you will find. Take the opportunity to get out of the city and explore some of the spectacular regions outside Melbourne. Take one of the world’s best drives through down the scenic Great Ocean Road past seaside towns and coastal landscapes including the Twelve Apostles. Enjoy the good life in the Yarra Valley as you sip your way through cellar doors and vineyards tasting the array of produce, food and wine on offer. Cairns is your next stop, gateway to the World Heritage-listed Great Barrier Reef and Daintree Rainforest. You could dive into your own adventure; tour the Reef in a semi-submersible, fly overhead in a helicopter, don flippers and a mask and jump right in, or soak up the sun and the views aboard a sailing boat. Maybe explore the Daintree Rainforest by foot, vehicle or flying fox - each offering a different perspective of the oldest living rainforest on earth. Whatever your style, there’s nothing like Australia. Contact Wanderlust Excursions to enjoy your bucket list adventure.